Lunch, a photo by PhotoPuddle on Flickr. Not been taking nearly enough photos recently so I think it's time to dip into the Instagram file again. Here is a favourite picture of mine. 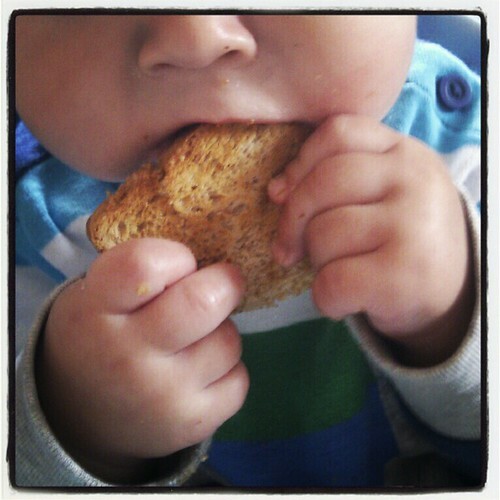 It's my son trying toast for the first time. We're not really doing baby led weaning but I am being much more brave than I was with my daughter about giving him finger food and letting him eat things for himself. Toast appears to have become a firm favourite.